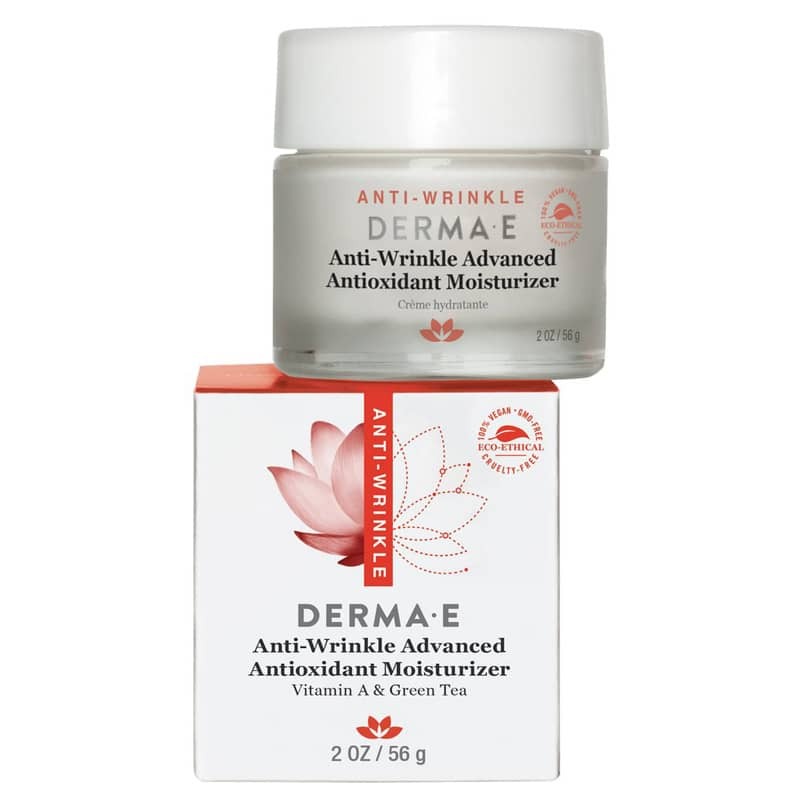 Anti-Wrinkle Advanced Antioxidant Moisturizer from Derma E is a paraben-free natural cream with Vitamin A and Green Tea. It is a great choice at the first signs of aging, such as fine lines and wrinkles. Refining formula helps increase cellular renewal to diminish the appearance of age lines and wrinkles on the skin while leaving it soft, smooth, and supple. Vitamin A encourages cell renewal, promoting younger, plumper skin and enhancing your youthful appearance. 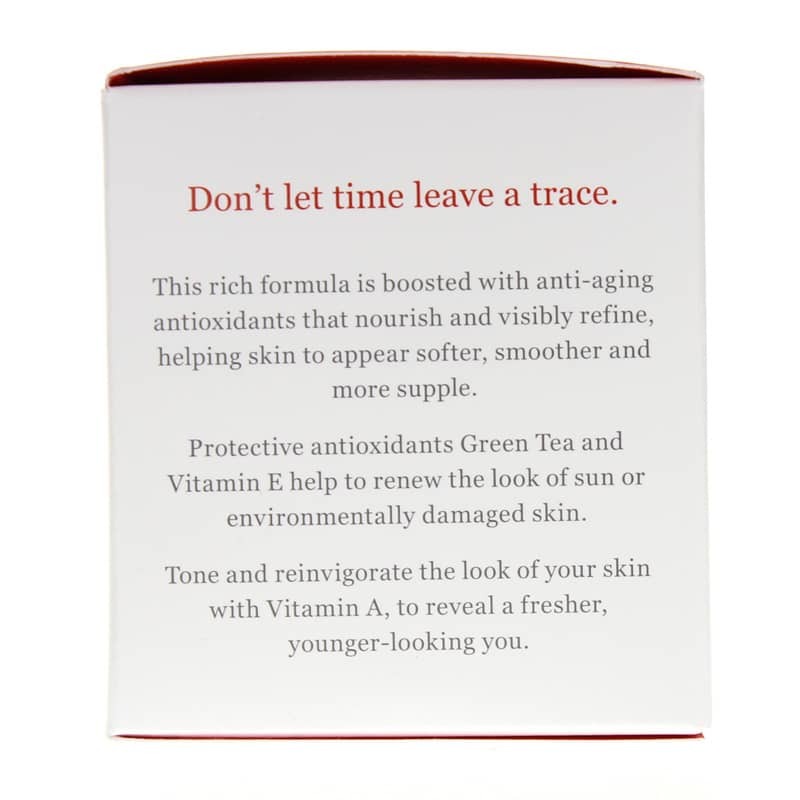 Antioxidant Green Tea is especially beneficial for sun or environmentally damaged skin. Refine, tone and diminish visible skin irregularities with this advanced anti-wrinkle formula. Contains a high concentration of Vitamin A, commonly referred to as the "skin vitamin" and best known for its surface cell renewal properties to address the look of aging. 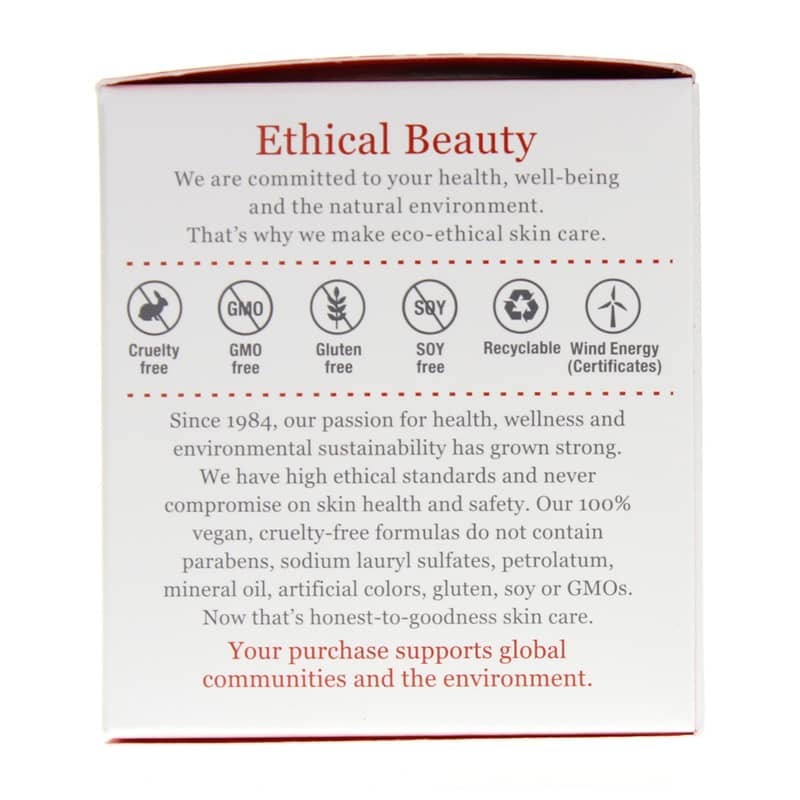 Blended with antioxidant Green Tea, this cream is especially beneficial for sun or environmentally damaged skin. 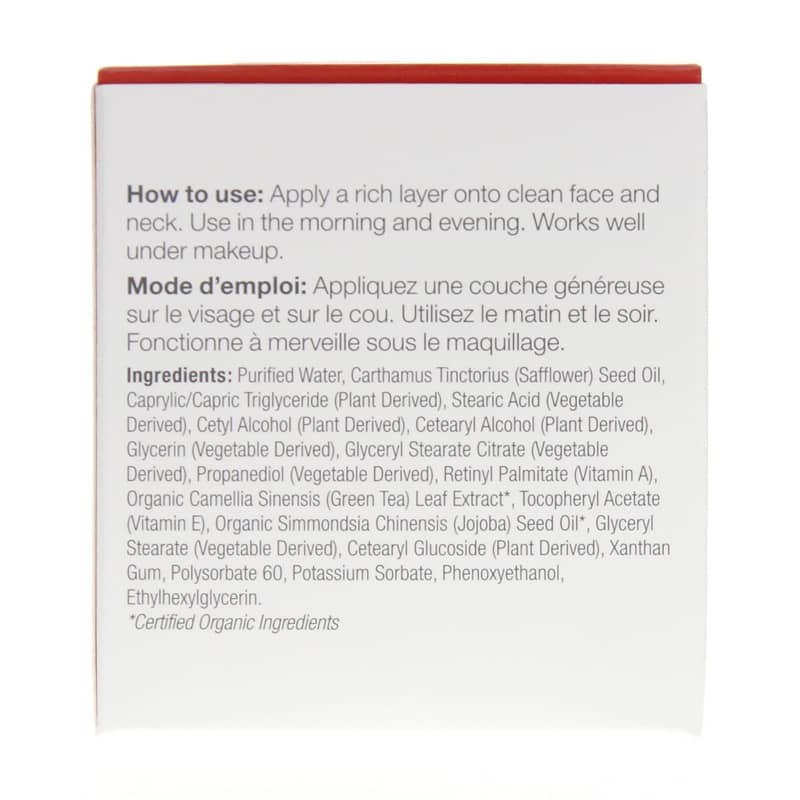 Daily application of this unique blend will leave skin soft and supple. Purified Water, Carthamus Tinctorius (Safflower) Seed Oil, Caprylic/Capric Triglyceride (Vegetable Derived), Stearic Acid (Vegetable Derived), Cetyl Alcohol (Plant Derived), Cetearyl Alcohol (Plant Derived), Glycerin (Vegetable Derived), Glyceryl Stearate Citrate (Vegetable Derived), Propanediol (Vegetable Derived), Retinyl Palmitate (Vitamin A), Organic Camellia Sinensis (Green Tea) Leaf Extract*, Tocopheryl Acetate (Vitamin E), Organic Simmondsia Chinensis (Jojoba) Seed Oil*, Glyceryl Stearate (Vegetable Derived), Cetearyl Glucoside (Plant Derived), Xanthan Gum, Polysorbate 60, Potassium Sorbate, Phenoxyethanol, Ethylhexylglycerin. It is slowly and steadily improving my facial skin quality.